Cost to install wood siding varies greatly by region (and even by zip code). Get free estimates from siding contractors in your city. Cost to install wood siding varies greatly by region (and even by zip code). How much does it cost to install wood siding? Wood siding is a popular choice for a home's exterior because it offers a traditional look, durable quality, and decent cost options. The cost of installing wood siding on an addition or new home depends on a variety of factors, including the type and style of the siding and the size of the home. There are a lot of different options for wood siding, from fir-faced plywood to cedar shingles, and that each has its own price point. However, horizontal lap siding made of cedar is the most common type of wood siding used today. To install wood siding on a 12'x16' addition, it would cost $7-$10 per square foot of cedar horizontal lap siding. Wood siding can be installed on your own, but larger projects almost always require a contractor. Materials: Wood siding comes in a variety of grains, which can greatly impact the cost. 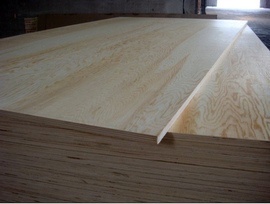 Fir faced plywood is the least expensive option, averaging $3.88 per square foot, while redwood 1 faced plywood 2 averages $5.65 per square foot. Cedar horizontal lap siding is the most common option and averages $5.50-$7.30 per square foot ($7,500-$10,500). 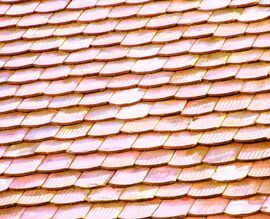 Cedar shingles 3 averages $6-$8 sq.ft. Additionally, vapor barrier sheathing 4 is installed underneath siding to reduce moisture entry and improve insulation will cost approximately $1 per square foot depending upon local climate demands. Labor: A carpenter will typically charge $40 to $50 per hour, which tends to even out to about $1.62 per square foot of siding. Depending on the amount of siding and the detail required in your project, it can take a crew anywhere from four to six days to install your home's wood siding. It should be noted that, for example, installing cedar shingles 3 will take approximately 30 hours more than to install cedar horizontal lap. Siding installation may require permits in some areas; ask your contractor for specific requirements in your area. Homes with more detailed architectural details, such as unusual windows, dormers, or lots of trim, may require more time to install the siding, which can increase your costs according the additional hours worked. How much does it cost to install wood siding in my city? Cost to install wood siding varies greatly by region (and even by zip code). To get free estimates from local contractors, please indicate yours.